Wisbech Grammar School are launching a cricket academy for youngsters later this month. 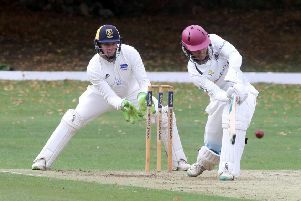 It will be run by the school’s head of cricket, Neil Taylor, an ex-Northants county player and a Northants scout who is currently chairman of Norfolk Youth Cricket. Neil has experience of working with talented youth cricketers, several of whom have gone on to play England age group and senior county cricket. The academy is open to the wider community as well as pupils at the school and provides a great opportunity to gain first-class coaching and develop your game under the expert eye of a top coach. Players will work on specific skills focusing on their technical, tactical, physical and mental aspects of the game and each session will have a specific theme, allowing them to develop their skills through these workshops.